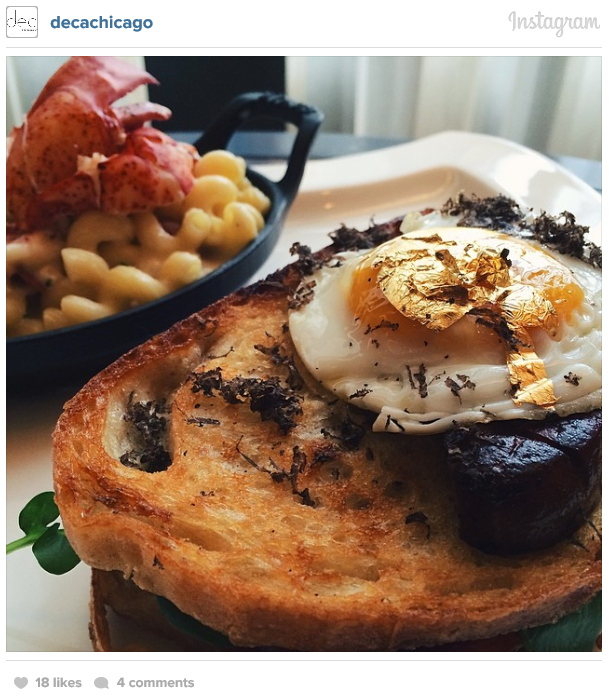 This beauty is made of artisan country sourdough bread, 40-year-old Wisconsin cheddar cheese infused with 24 karat gold flakes, Spanish iberico ham, 100 year old balsamic vinegar, foie gras, white truffle aioli and a duck egg sunny-side-up. Oh, and a side of lobster macaroni and cheese. Need one? Just head to the Deca Restaurant + Bar at the Ritz-Carlton Chicago but don’t wait! This speciality will only be on the menu ’til the end of the month.